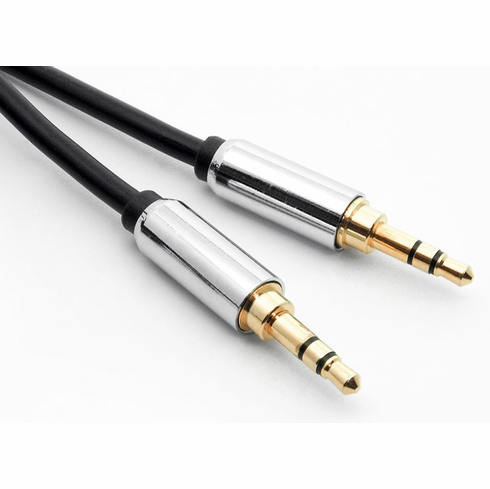 3.5mm Cables are the most common audio cable these days. This type of cable has a large list of compatible devices like Cellphones, Laptops, speakers, mp3 Players, Car Stereos, etc. This Premium cable is designed for a higher sound quality than ordinary cables. It has gold plated connectors and a metal shell housing that makes it more reliable than regular 3.5mm cables .